Theme: Where do babies come from? The Stork Exchange! 20A. Barista's schedule? : PERKING ORDER (12). The pecking order brewed us some coffee. 35A. Pet peeve? : IRK FACTOR (9). ICK Factor perhaps made famous by Friends has 289,000 google hits, while there are 367,000 hits on google and a BLOG for Irk Factor. Unusual for the pun to be more famous. 57A. Satisfying sight to an Istanbul clothing designer? : TURK IN YOUR SHIRT (15). Ah, you are wearing one of my designs, but please tuck it in. 1. Kid : JEST. Not a youth. Some Friday style cluing already as these words are related but I do not see them as synonyms. 5. Sufficient : DUE. Dire due parole about this clue as well. 8. Girl who calls Peppermint Patty "sir" : MARCIE. Finally, one I got immediately. 15. "High Hopes" critter : ANT. They look about my age. 16. Longstanding : AGE OLD. Hey! we are not that old! 21. A-one : PRIMO. So many choices, cuz. Right Lucina? 23. Diving birds : LOONS. 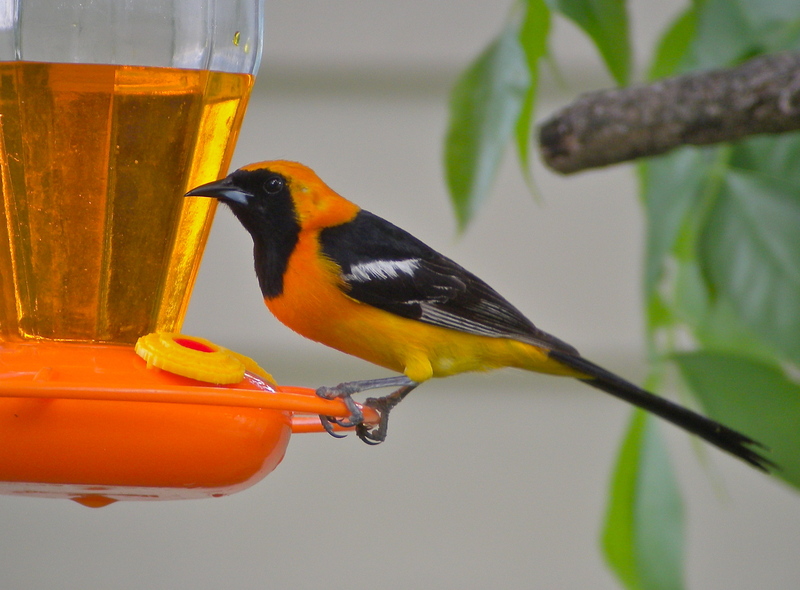 The Minnesota state bird. 24. Iraq War weapon: Abbr. : IED. Improvised Explosive Device. 26. Emphasize : ACCENT. Ah, a grave clue. 28. Little biter : GNAT. 30. Oklahoma native : OSAGE. Another visit with an easier clue. 34. Takes to heart : HEEDS. 37. Skirt : EVADE. An issue, not one for Splynter. 40. Words on a jacket : BLURB. Dust Jacket on a book. I never buy any autobiographies, I just read the 'about the author' on the jacket. 41. Esteemed one : GEM. A peach. 44. Chilean currency : PESO. I did not know this. I have been in many places in South America but not Chile. 45. Native : INBRED. Inbred has such negative connotations. 53. Degree requirements for some : ORALS. 60. 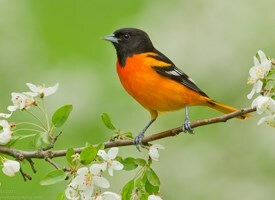 Colorful songbird : ORIOLE. Beautiful. 61. Ramallah-based org. : PLO. Palestine Liberation Organization. 62. Very short time: Abbr. : MSEC. Nsec n'sync Backstreet Boy arrested! 63. Inconsequential : MEASLY. My salary is what? 64. Carrier offering Carlsberg beer : SAS. Originally Scandinavian Airline System. 65. Ersatz : SHAM. I like the word ersatz which is a German word we have taken as our own. 1. Hook alternative : JAB. Boxing, not a slice HG and Big Easy. 2. Jazz __ : ERA. 3. Peter Maas biography subtitled "The Cop Who Defied the System" : SERPICO. Pacino at his best. 4. "I want to go!" : TAKE ME. Go with? 5. Like many caves : DANK. 6. "... I thought, / __ my head was dizzy": "Endymion" : UNTIL. Not the most famous line of this POEM which begins, "A thing of beauty is a joy forever"
7. Graphic introduction? : ETHNO. Anthropology? 8. Trowel wielder : MASON. My uncle was a master mason who taught at a trade school. 9. Microbiologist's gels : AGARS. 10. Demond's co-star in a '70s sitcom : REDD. Most people did not know his real name was Jon Elroy Sanford. 11. Cough syrup ingredient : CODEINE. Very common when we were young but the narcotic is not used in cough medicine much anymore. 12. Like one who goes by the books? : ILL READ. OOOOO. 13. Ending with stamp : EDE. Meh. 50D. Suffix with beaut : IFY. 18. Smelter input : IRON ORE. Out comes steel. 19. It may require delicate handling : EGO. 21. Touch lightly : PAT. 22. Miley Cyrus label : RCA. Really? DKDC. 25. Sot's woe : DTS. Delirium Tremens. 27. Sound of disdain : TSK. 28. An official lang. of Luxembourg : GERman. 31. Edwards, e.g. : Abbr. : AFB. Air Force Base. 32. __ pal : GAL. Not pc. 33. Old French coin : ECU. 34. Works the room : HOBNOBS. This word in its schmoozing meaning was popular in my 'ute. 35. Common court response : I DO. Do you solemnly swear to tell the truth, the whole truth and nothing but the truth? 36. Prefix with centennial : TRI. Are there any other three letter ones? 37. Org. monitoring brownfields : EPA. Live and LEARN. 38. Greenery : VERDURE. If you know Latin or French or Spanish, this is easy. 39. Oregon port named for a 19th-century multi-millionaire : ASTORIA. JOHN JAKOB. 41. Somewhat ashen : GRAYISH. 42. Long swimmer : EEL. 43. EKG readers : MDS. 46. Composer who championed Dvorák : BRAHMS. Great STORY? 49. What chips may represent : MONEY. How many of you play poker? There are pokers rooms everywhere here. 51. 'Vette roof options : T-TOPS. 55. Golden age theaters : RKOS. 56. God with a quiver : EROS. 57. Alley prowler : TOM. Okay CED, this is all you. 58. Actor Stephen : REA. Still most famous for the Crying Game. 59. Channel that shows Bogart films : TCM. Turner Classic Movies. Oo loves this and AMC. So we had a rocky start but here we are halfway through January and three entertaining Fridays in the books. Be well all, stay warm and dry. Thanks JW, loved your NYT yesterday. Lemonade out. Definitely a challenge, but a fun one. Loved the theme. Biggest problem was all the clues that had multiple plausible answers. Was it TUT or TSK? CAT, RAT or TOM? ANT or RAM? Good Morning, Lemonade and friends. I found this to be a very easy puzzle for a Friday. I got Bark In the Saddle on the first pass and laughed at all the humorous changes to all the common phrases. My favorite clue of the puzzle was One Who Goes By the Books = ILL READ. More than you ever wanted to know about Brownfields. And that girl in the skirt needs food. 6:55 Looked impossible. 7:00 Looked improbable. 7:10 Looked iffy. 7:15 Looked doable. 7:20 Done. 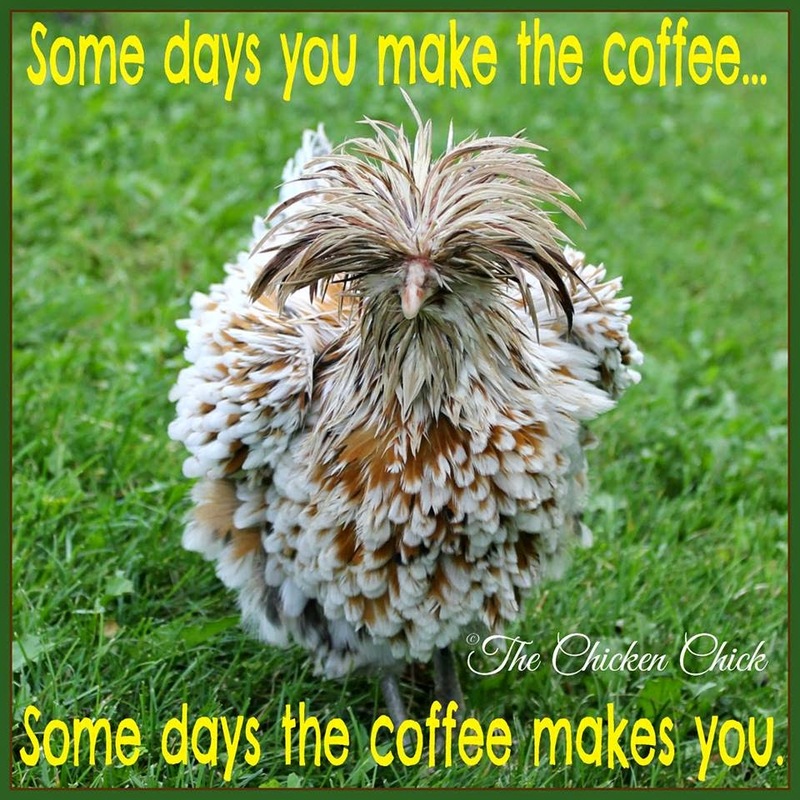 Time for a second cup of coffee. Biggest problem was the INNATE/INBORN/INBRED morph-ology. TURKISH before TUCK IN was another snag. MASON reminds me that I'm so glad Tom Silva and the gang at This Old House have learned to pronounce it "masonry" rather than "masonary." That was like fingernails on a blackboard. Just eked it out today. Nice theme, which I caught immediately, but didn't take me through swiftly. Fast Friday. Easy to suss theme, which helped in solving. Write overs were DARK/DANK, NSEC/MSEC. No problems. The M in GEM didn't seem right, but it had to be MDS. Needed the SM--- for SMITT. Busy this AM. I am putting off going to the Y until the PM. I missed most of last week and started to stiffen up. Tip to those in knee replacement recovery, for me exercise seems to be mandatory to stay supple. Yesterday's Y was a good start. "Sufficient" = DUE doesn't get it, and neither do I. "Ersatz" is a sham clue for SHAM, and "native" is SHAM for INBRED. But at least he spelled EKG correctly (with a K instead of a C, which you see in so many crosswords lately); and he had the patience to wait past December 28 for SHULA. Could MEASLY also be what kids get if they don't get their vaccinations? Other comments were about how easy this was for a Friday. Well, I struggled. But I struggle every Friday. In the end, great fun CW, thanks, JW, and really terrific write-up, thanks, lemonade!! Great writ up Lemonade. I had some trouble in the SW due to the fact that VERDURE was 100% crosses, didn't know SMITS and I filled CAT for TOM. But got it done. T-TOPS-I wish this would not be a clue. Corvettes with T-TOPS are aftermarket add-ons. I got the hook on this puzzle at BARK IN THE SADDLE and that made the rest of the fills easier with just a few unknowns and changes: MARCIE, SERPICO, BRAHMS and changing GOD to GEM and DRS to MDS. The clue for ILL READ had me stumped until I realized it for somebody who skipped the books instead of being a stickler. Have a nice day. Gotta go. A typical Friday offering with enough challenge but highly doable. Had the same w/o's already mentioned but perps put everything in order. Clever theme and I did notice the vowel progression; normally, I'm not that observant. Thanks, JW, for an enjoyable trip and thanks, Lemony, for being such a knowledgable guide. Still very cold with snow on the way tomorrow; don't know how much. Where's Owen and his limericks?? First, let me list my initial errors. JoSh before JEST, steNO before ETHNO, MEreLY before MEASLY, pen before AGE, nSEC before MSEC, cat before TOM, dAb before PAT... Only pen and tom didn't have at least one correct letter, but I overcame all of the wrong fill to solve this puzzle . No need to go to 'regular' solving mode in the online game, and no lookups needed. Sometimes it's funny that can you struggle early or mid week, and then prevail late week. I couldn't solve CC's Wednesday puzzle, and it wasn't only due to the often cited REMORA. I also missed TEMPLE and ANCHOR in that one. Yet here, we have VERDURE, but all the perps were solid, so it stayed. As unknown to me as REMORA, yet today I get the TADA. Funny game sometimes. That wasn't even my last fill. It was the F in AFB. That was right after the AL in GAL and then the first B in BLURB. On a different day, AFB might jave been my first thought for "Edwards, e.g. : Abbr." Like I said, it's a funny game. Lemon is right, you rarely see CODEINE in cough medicines today expecially Over The Counter ones since it's a narcotic. I think it was called Cheracol back then. Many older doctors will still prescribe it (Generic name is Iophen-C). Younger doctors seem to prescribe cough syrups like Robitussin which don't have Codeine. I don't know how many TV/Cable stations are running old Johnny Carson Tonight Show reruns from 30 - 40 years ago, but one of our local Retro stations started airing them on New Years night. They are so funny, and corny and so politically incorrect. They are hilarious. It's also interesting to see some of his guests in earlier parts of their careers. It's refreshing to see the old shows compared to the current late night crop of shows. Have a great one today everybody. Wow! What a wonderful antidote to a gray, windy day on the prairie after a 53˚F day yesterday! Lemon’s summation is a lily that needs no gilding. I learned (well, at least saw) VERDURE and “Like one who goes by the books” elicited a guffaw! -Hook? Slice? What are talking about Lemon? -August 5th is the TRICENTENNIAL of the Battle of Petrovaradin. Me either. -Nebraska is considering allowing Poker in the state but players have to use cash, not CHIPS. -In what movie did Ethel Thayer imitate the call of the LOON? Yes CODEINE is still used in cough syrups. Usually only for persistent or painful coughs however. Robitussin AC or Robitussin DAC. Packs quite a wallop. Thanks C.C.for the Tao correction. I think that lemony must've been sipping some codeine when he wrote that first sentence in todays summary. Whew, I got lightheaded just by reading it. Hi everybody. I liked the Friday puzzle and finished it though I wouldn't have been able to explain the theme as well as Lemon did. Unlike some others, I found it tough. WEES. Gary, that would be "On Golden Pond" IIRC. I don't use cough syrup often but when I am keeping myself awake by constant coughing at night, I would pay lots of money to have some. I have some in the medicine cabinet now just for those desperate times. CED, I couldn't tell how serious you were yesterday evening. Depending on stuff I don't know for sure, best wishes and good luck. Mama mia, I finished a Friday Jeffrey Wechsler puzzle! I can't say completely unassisted because I had to search in my Golden Treasury of Peanuts for MARCIE. Just couldn't come up with her name but saw her image perfectly. And I noted the vowel progression which added to the genius of the theme. Thank you, Jeffrey! So many misdirections caused much erasing. Of course I wanted SHEEN then realized SMITS took his place and I had a serious V-8 dent on realizing that words on a jacket referred to books not coats. Many light bulb moments in this puzzle. As for PRIMO, my first fill was PRIME because in Spanish my first thought is cousin; PRIMO, male cousin, prima, female cousin. Then the Italian PRIMO emerged with IRONORE. And thank you, Lemonade, for expounding on this GEM of a puzzle. I always enjoy your attention to detail and precise explanations. Have a beauteous day, everyone! Sufficent = Due is fine with me. For example, due diligence means sufficient diligence, not diligence that is owed or expected. EKG/ECG. No one is more correct than the other, they are both correct and they both mean the exact same thing. To my mind, I'd prefer ECG as the "C" is actually contained in the word it abbreviates. "K" is not. Thanks for the expo, Lemon. Tough go today, but satisfying in the end. Hunted and pecked all over the place. Catching on to the theme helped some, but didn't make the rest easy. A vowel progression - letter switch combo. Brilliant and awesome. Some tricky clues and uncommon fill. Just about a perfect Friday. PRIMO, maybe even a GEM. I'm pretty sure you can get codeine cough syrup by prescription. Disturbs my already fragile sleep and causes weird dreams, so I avoid it. Yes, I wish ILL READ and Ill mannered inane anons would apply some DUE diligence, or at least 10 seconds with Mr Googly, before posting. Shocking I know, but sometimes constructors, editors - and even Corner bloggers - actually know what they are about. Wings were down 2-0 to the Coyotes after 2 last night, so I gave up and turned off the TV. Saw this morning they won 3-2 in O/T. Five wins on a six game western excursion is pretty good for a team that doesn't score much. First, Jeffrey - you're a DORK (and I mean that with most DUE respect (I'm one too, it's OK)) (see, even my parens match). Always a sideways puzzle from you and this one -PRIMO! I grok'd the them b/f the down fill @17a. Thanks for the fun, PERKy puzzle. 12d - I parsed it as I'LL READ so I know the book with which to go by. V8 ouch when Lem expo'd. Don't get me started on Brownfields - taxes to pay for Corp clean up? Who's the LOON here? Should I? Oh, heck (turn down your speakers)...Aerosmith Barking Back in the Saddle. Oc4 - I agree. Some nights I'll just watch well AGE'd OLD Carson for a guaranteed giggle b/f bed. Nice play-on-word theme. Thanks JW for a challenge this am. Lemonade, thanks for pointing out the vowel progression..... didn't see it before you mentioned it. Tough but doable, a real Friday puzzle. Despite the anti-hoopla, Codeine is very efficacious ( spelling ?) in calming the nerve center of the brain which induces coughing .... and induces it, sometimes unnecessarily. However, it is also a narcotic, prone to abuse. Hence it requires a doctor's Rx. However it is very much available, with a Rx, as IC Cheratussin Syrup , 16 fl.oz. for $ 4.99 without insurance. If you are not allergic, and can handle the side effects, and have serious coughs at times, it is worth a visit to a doctor and get a Rx, and keep it on hand. There was a very valid reason that it was used in cough medicines of yore, and that reason is just as valid today. To top off the bottom half, I tried to cheat by hitting solve for just one letter. & what happens? I accidentally hit solve all by mistake! Still trying to parse Ill Read? I have saved this bookmark for 2 years waiting for a reason to use it. I never gave much thought to the effects of codeine - until about ten years ago when I was going through a patch of sleepless nights. I found it was true that a couple of teaspoons of the medicine would bring a comfortable night's sleep. I didn't think of it as addictive. I would use it for a few nights, then skip it, with no difficulty. But even as I write this, I recognize that different people react in various ways. Based on my experience I would use it again - if needed. But I wouldn't recommend it blanketly to all. Hi Y'all! Parts of this puzzle IRKed me, but I filled it and was amused, Jeffrey. Good one, Lemony. Now I'll go back and listen to the tune links. ORALS & ORIOLES. Jeffrey does like word sounds. ASTORIA was a gimmee. I insisted on seeing the town after an enchanting ride along the beautiful Columbia River Gorge which separates Oregon and Washington states. This was in my water activist days. I wanted to see where the Columbia emptied into the Pacific. We came back east from Astoria after visiting Cannon Beach earlier with the sun shining on Mount Hood which had not been visible because of the mists earlier in our trip. Magical day. CODIENE is a nono for me and my daughter. Makes us crazy. Doctor gave her some when she had a badly injured ankle. Friends found her dancing on the dorm roof deck barefoot in winter. I struggled with this one as well. "Ill read" is not a phrase I'm familiar with, but I'm assuming it is the opposite of "well read." And "goes by" in this case means "skips past" or forgoes instead of the normal meaning of "adheres to." So, somebody who typically forgoes reading would be considered the opposite of well read or ILL READ. AnonT: Thanks for the link to Johnny Carson. This Johnathon Winters and Robin Williams segment was on TV earlier this week. A real laughfest. Tough slogging at first but the dam broke after sussing BARK IN THE SADDLE and pointing me toward the theme gimmick. Got almost all of it without help but made a bad guess that eel wasn't 4d down. Long seemed to be an amorphous clue - Was it long because of its migration route or length to width aspect? Great puzzle and challenge, Jeffrey. Thank you. BACK IN THE SADDLE again. - Our ship's band always played it during entering-port after an at-sea period. I work in a small-town, independent pharmacy here in the Midwest. Codeine is still common in cough syrups and is available without a prescription. Large chains recently decided to demand a doctor prescribe it(for liability reasons), but it is not required by law. Our pharmacist will dole it out to our regular patients(who he feels are not addicts) without a scrip if he decides it is truly needed to get rest and heal the cough. All the law requires is that we maintain a log book where we enter the patient's state ID number and dispense it only to adults and only one 4oz. bottle every 48 hours. 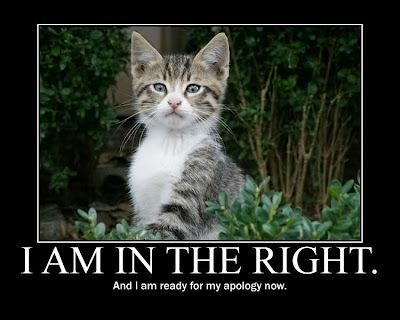 If the customer comes back for a 2nd, we often suggest they go see a doctor because it may be more serious. We usually sell a case or two per cold and flu season depending on how bad our town is hit by the flu bug. Rex thanks for stopping by and for all the information. The people's pharmacy has an article that claims dark chocolate is more effective than codeine in suppressing a cough. Of course I have been long addicted to dark chocolate so it is all good. Whew, lived through another JW w/o cheats! Had few things filled in on first go around. Fell asleep reading Lemonade's comments. Must have been more tired than usual. So it took 7 hours to blog! Missteps as noted above. Scratched head at DUE. I did it! I finished a Jeff Wex!! Miracles never cease! Clever theme...I even got the theme! Lemonade, you just added to the enjoyment. VERDURE started as Verdant and changed several times. Hahtoolah, I had the same write-over that you had. But eventually it all worked out. Such fun! Cool puzzle. The first theme answers I filled (incorrectly) began with TURKEY and DORK, then IRKY (also incorrect) so I thought the answer at 20A would start with JERK. Boy was I wrong; made solving take a very long time. The pleasure I obtained made it well worth it, though. Apropos to nothing - Dark Chocolate is a very potent aphrodisiac, IF consumed with three Altoids of spearmint, over a reasonably long period of time, say a half hour. So, if they are all consumed with a reasonable amount of cough syrup with codeine, say two teaspoonfuls, you can perform the job, and then have a nice and restful sleep, immediately afterwards. No need to smoke a cigarette later. It is actually quite a buzz and then very restful at the same time. Cough symptoms are optional. Lemon: Nice write-up. Jeff: Thanks for a FUN Friday puzzle. WEES ... didn't notice I got VERDURE (must have been "ALL-Perps") until the write-up. Well I see it was Ledge Picking Day on Wall Street today. Dark Chocolate is a very potent aphrodisiac, at Villa Incognito IF consumed with Scotch. Real breeze today, finished in Tuesday time. TTP - That's a hoot! My time in Alabama is coming to an end. After a fine warm day in shirt sleeves, I'm heading back to the cold. But I'm well fed! I have very few allergies, but codeine is definitely one. It causes nausea. Sulfa is the other. On CODEINE - I have a bottle in the cabinet but won't touch it (it was a script for pain w/ broken ribs). I have enough issues w/ Caffine & Nicotine to have another INE on my back. TTP made a funny! I'm still chuckling. CED, addicted to sh!tting Brix? To each their own I guess. A tribute to this puzzle... Cool! I once saw a Hagar The Horrible cartoon, where he was in a bay, in a boat, & every one had the same thought bubble! "Boy! 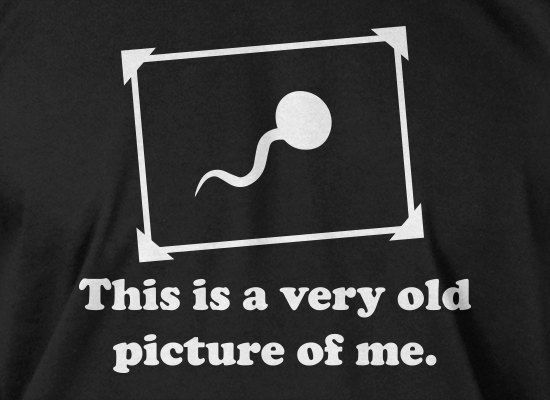 there a a lot of jerks out today..."
here is an old selfie! Thanks JW for creating a CW that I could complete on a Friday. Wahoo! Of course, like others, i had many missteps...almost all were mentioned, but I don't think anyone foolishly put paver for mason. I did have to look up the meaning of ersatz, which is not in my vocabulary...nor will it ever be. Thanks to Big Easy and Barry for your take on ill read. The light shineth thru. Poker? We used to play a lot with friends a LONG time ago, using pennies of chips...and later we did get some fancy chips. Now I play with my grandsons. They love it. Of course I always have my iPad set up with the official poker hand rankings because I seem to forget.My little guys bet big; its pretty funny. CED - I think a Wise Man knows how it feels, when it's thick, as a Brix.. Sorry folks, you get what you pay for and here it's less than a PESO. I've probably sold more CODEINE than most of you could imagine since I managed a wholesale pharmaceutical company for 28 years. Most codeine is sold in the form of acetaminophen (aka Tylenol) with codeine in 15mg, 30mg, or 50mg ( thats 1/4, 1/2, or 1 grain to the old timers). But MDs don't like to write Rx's for the cough; only for pain relief. Easy for a Friday. Loved "Dork of the Bay"
Man, you folks are making me feel stupid today. I don't always get Friday but I usually get further than I did today. Didn't finish it last night, so slept on it and didn't get any further this morning. Finally gave up, and even with red letters had a hard time completing it. Did so just in time to drive the LW to dentist and then Lions Club and other errands, IRL. Just finally finished catching up on the blog. Astoria, went surfing there with friends a few times as a teen. Not SoCal, but closest surf we had to Portland. Big E... A buddy of mine told me about Musinex today. I wish I'd of done that instead of TheraFlu, Honey, & Makers Mark - I've been fuzzy all week... (ok, maybe Musinex & Maker's). Post-puzzle talk w/ MIL... She knew ersatz as faux (and that messed up her SE corner for a spell) - in re: the coffee served in France in WWII made of pecan & walnut shells. She wasn't there, just recalls the papers. My learnin' for the day. Next month MIL moves in with BIL. She will have the interwebs and be able to play with us. I hope she doesn't out me as an IFY SIL. BTW - TTP: I told MIL your brake-fluid joke. It got a giggle out of her. Since no one did, I gotta Outrageous Accent. Now, go away or I shall taunt you a second time. "Ending with stamp" sounded like it would be a prefix to stamp. Couldn't help but think of Lady Bird Johnson and her campaign to "beautIFY America"
When I was in nursing school, we had one physician (Dr. Nice) that would treat all the students for free. I had bronchitis every few months and he would send me back to the dorm with a supply of Tetracycline and Phenergan with Codeine. That was good stuff ! Brownfields was a new term for me. Did you hear that HBO, when airing Sesame Street, will no longer have Oscar the Grouch in a trashcan but a recycling dump.